Published December 18, 2015 By Leisa Good This post may contain affiliate links. Regardless, I only recommend sites I've researched and/or used and trust. Are you searching for a non-phone job? Are you someone who enjoys doing online research? 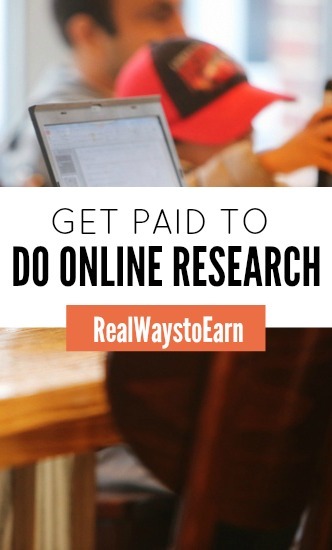 Are you looking for a way to earn money doing online research? Then keep reading, because Wonder might be a great work-at-home opportunity for you. AskWonder is an online service available to clients who need to hire researchers to expound on information by offering many different perspectives and viewpoints all from reliable sources. The information is usually presented to the researcher in the form of a question, which really has no definitive yes or no answer. The company was founded just this year in 2015 by a group of friends who were passionate about research and wanted to seek out others who felt the same. Their goal is to make online learning human again by incorporating the mentoring factor back into it. Is This Opportunity Open Worldwide? The good news is that AskWonder doesn't just hire in the United States, but in several other countries as well. However, the application page does explain that they cannot accept people living in New York, Massachusetts, or California due to some state regulations. What Do Researchers at Wonder Do? As an online researcher for AskWonder, you will be compiling information to a question presented by the client. When new questions come in, they are posted on the company's inside dashboard with the pricing. Pricing will vary, and you can accept the questions you want to work on. Your job function will be to try and briefly explain the answer in a summary, while citing the online resources you used. Most searches take between 15 to 20 minutes, depending upon the complexity of the question. Each question will need to have at least 5 reliable, well-documented resources. What Are the Requirements to Work for Wonder? You just need to be able to pass the assessment that they provide when you fill out the application. You will be presented with a few questions typical of the type they receive from clients. Then you will be asked to research the answers to see if you are a good fit for the company. navigate new challenges every day. While you should already possess the research skills that they are looking for, you can still enhance your current skills by taking advantage of some of their tools and advice. You will work for Wonder as an independent contractor. What Are the Hours and Pay at Wonder? The hours are 24/7 flexible with you determining how much or how little you want to work. Wonder claims that they have researchers making $2,000 a month. Each search is about 15 to 20 minutes long with the pay being paid out per search. On average, a search can yield $6 to $8, so you would need to determine how many searches that you would need to do to meet your own personal financial requirements. Pay is delivered every two weeks via PayPal, so you will need a PayPal account if you currently don't have one set up. What Are the Latest Reviews Saying About Wonder? Because AskWonder is a new company, I wasn't able to find any Glassdoor reviews. However, I did find one Reddit review. You can certainly read it for yourself and decide to apply or not to apply. Keep in mind this is just the opinion of one person. As the company grows, it will probably be possible to find more feedback. How Could an Interested Individual Apply to AskWonder? Go to their applications page and begin the process. Good luck. Looking For More Work at Home Researcher Positions? You can browse these listings at FlexJobs. It's a reputable, subscription-based job search sites that focuses on remote employment. this is hard. They make it seem like it easy. Yea Right! I have stalled on trying to do the “test research assignment” when I was applying. That is when I realized I would have to study “how to do research on the internet”. There is even an e-book on this written for teachers of children/adolescents. Most search engine type jobs are hard to study for and even harder to take the test for. Just sayin’. Great! I have been very impressed with AskWonder. hello, i have tried to open an account but i have been approved they declined my request. Hi Sam, Sorry you’re having trouble. I don’t think the Wonder group checks in here very often so if you’re having issues with your account, you might want to go to their website and mention this through their contact form/email. I hope you get it sorted out! hello i have tried applying but they declining. Here’s another comment on another site where they are talking about AskWonder. The commenter gives a review of them. This sounds somewhat similar to the ask.com project that I worked on a few years ago through a company work…. something or another I can’t remember the name of the company. There was a database with questions that you were able to pick from. It was really easy and fun work. You didn’t have a time limit for questions as long as you did at least the specified amount for the week. I would like to apply but am unsure after reading the review. I think perhaps you misunderstood. The questions are NOT priced at $6 apiece. They start at $8 and the system moves the prices up over time. In addition, at any point, researchers can ‘name their price’ by typing in their preferred price for completing the research. You’re welcome to come check it out! Thanks, Lisa. Yes, it does sound exciting for those who really love research. Thanks for sharing everyone! I find with most work-at-home jobs that you can have two people with two entirely different experiences. I signed up with Wonder in July, and now I really wish I hadn’t. Most of the questions are incredibly industry-specific and difficult to find an answer for, and even the high-value ones take far too long to research to equate to even minimum-wage. They’ve added this annoying clock thing that you have to keep clicking to extend your time. And like the person on Reddit mentioned, your answers can either get rejected before they go to the requester (and you get nothing for your time) or the requester gives you a bad rating (frowny face) and you get no chance of a bonus. I think I made a whopping $24 dollars in my entire time working for them. So recently, I decided I didn’t want to stay on their roster, and emailed several people about it. Guess what? They email me more than ever now. I have asked them to delete my profile, and they took the answerer dashboard away, but I’m still on their site. And I get 5-15 emails a day with new questions that I couldn’t answer even if I wanted to. So annoying! Sorry to hear you had a negative experience on Wonder. We’re in the middle of making some changes to address the issues you mentioned, and researchers have full control over their notifications from their ‘settings.’ However, I’d be happy to help expedite your removal from the network if that’s what you want. Please drop me a line at rachael@wonderlib.com and we can sort out the details together. Thanks for writing about AskWonder Leisa. I hadn’t heard of them before reading your post. I jumped over to read the review on Reddit…it’s good to know what others have to say about their experience. Thanks for sharing. I got banned after I recently resourced a topic on money laundry strategies with many articles on Clinton’s Foundation. They even changed the whole system where you get asigned a topic of their choice. They force you to basically claim it in blind and work on it. When you drop the claim they threaten to “penalize” and suspend you. The earnings are incremental and you spend more than 60 min for $6 dollers per project if you are a beginer sourcer, money that they can decide that you have not earned after all. There is a good team of researchers that answers questions that admins do not even bother to read unless you brush them the wrong way, challenging their bellow standards , unprofessional leadership. Then they stop the email communication , they exclude you from forums and ban you. If you want to do research then take your business to a place where they pay you for your time, they do not censor your sources, they do not force you to work on dull topics and where you get to communicate freely with your fellows.